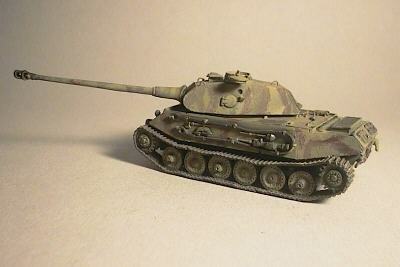 Available by Fine Cast Models (FCM), Germany. 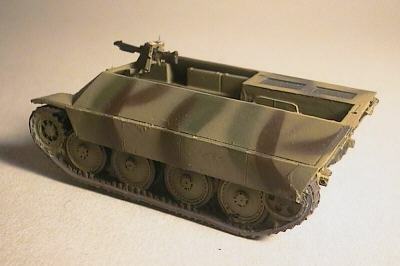 In late 1943 Heereswaffenamt WA Pruf 6 asked Auto Union to develop a light fully tracked reconnaissance vehicle capable of carrying 6-8 man in an open-top superstructure. The vehicle was supposed to be capable of speeds in excess of 50 km/hour, and was to be moderately armored. The prototypes were tested in the summer of 1944 and were well liked for both their layout and mobility. Problems were encountered with the gearbox and for this reason, and also because of the decision in Sept./ 1944 to limit all new constructions to 2 chassis types only. 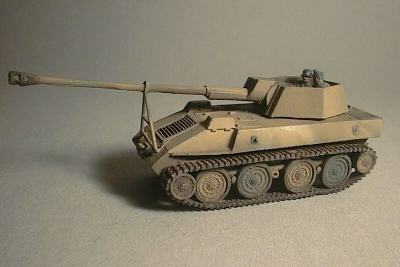 Namely the Auto-Union with Parts from the Panther or the CKD (Hetzer 38T). 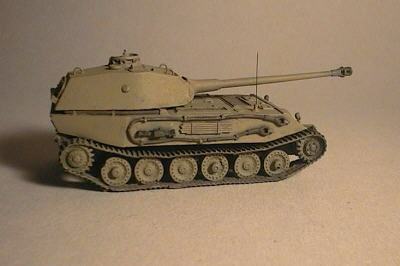 It was eventually decided to just order a prototype from CKD in Prague, maker of the Hetzer 38(T) Panzerjager. The CKD prototype was actually built in 1944. 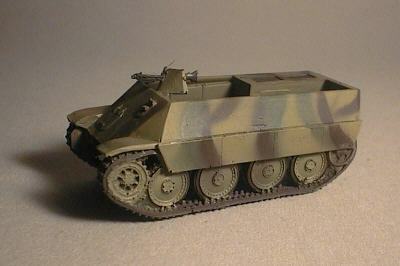 It was wider than the Auto Union model and heavier, being much better armored. Its front plate was 50mm, sides 30mm and rear 20mm. 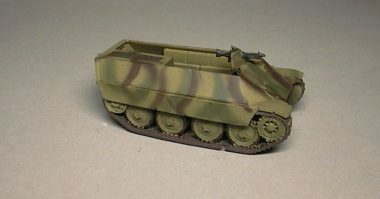 It retained the general layout with the open top and the engine in the rear, but disposed with the kugelblende for the front MG, wich was instead mounted behind an armored shield as carried by the SdKfz.250 and 251 halftracks. A rear mount for another MG was also provided. 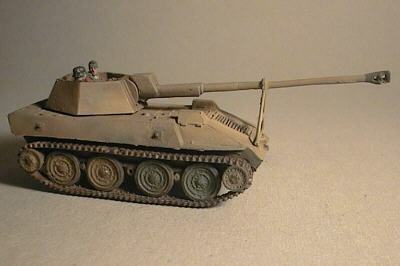 Panzerjager Prototypes. A final group of Panzerjager were all based on the Pz Kw 38(D) chassis wich was a German-built refinement of the Czech-designed Pz Kw 38(T) wich had provided the carriage for so many earlier types of German SP equipment. 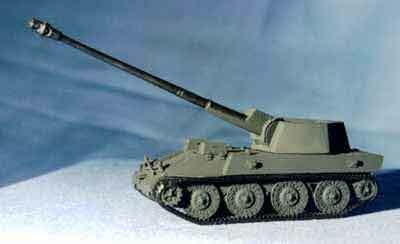 The 8.8cm Pak 43 auf Krupp/Steyr Sfl 38(D) was a simulair type to the Ardelt design except that the chassis incorporated the suspension units of the Raupenschlepper Ost. Alternative armaments were proposed. Porsche VK4502 with front- and rear turret Follow information (from Tom Jentz and Hilary Doyle) is may be one prototype, with turret on frontside, build and on the end of the war destroyed in combat with the Russians in the neighborhood around Kummersdorf. The only prototype was supposed in a test phase. 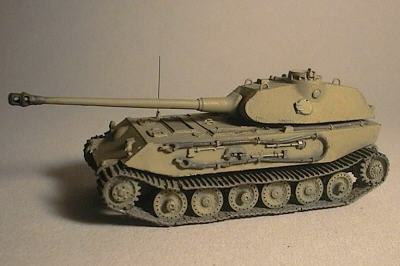 Porsche's equally unsuccessful Tiger I competitor, fitted in a revised hull with sloped armour. 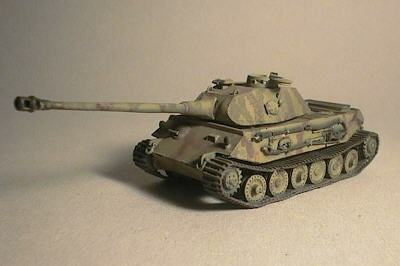 On this was a new turred with the powerful L/71 88mm gun. Porsche was so confident of winning the contract that 50 turrets were ordered from Krupp. 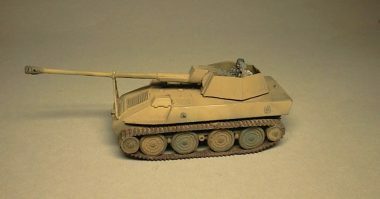 The German waste not, want not approach led to these being used instead for the first series of the Henschell King Tigers, which led to criticism of the dangerous shottrap round its turret ring. The Porsche chassis they were designed for had no such problem, because the hull side, front and rear plates were extended above its roof to protect the turret ring. Two alternative versions of the VK4502 were proposed, one with the turret mounted on frontside and one with the turret on the rearside like's the Maus. This to reduce the overhang of the long gun.